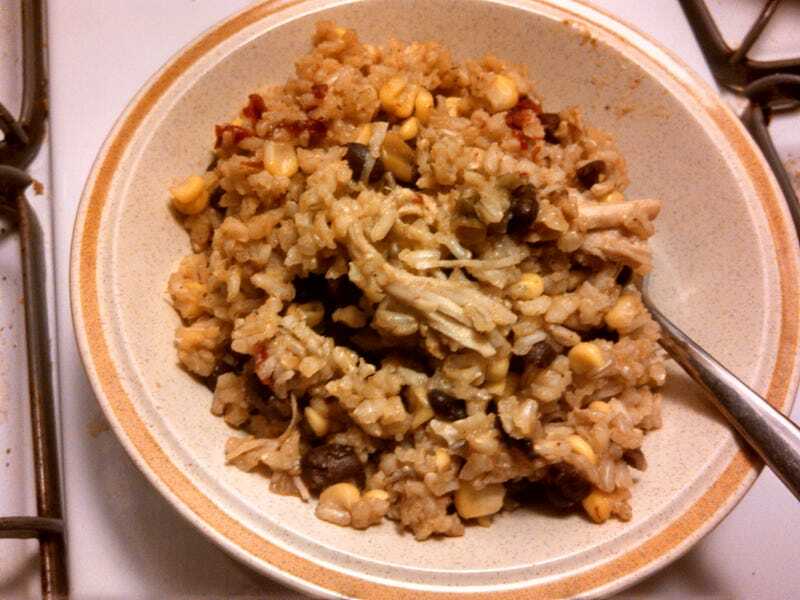 I was inspired by someone on the slow cooker thread earlier, so I made brown rice with canned chicken, canned black beans with spicy sauce and bell peppers, and corn. Tossed it all in the rice cooker, added some chicken broth and hot sauce, and voilà! Dinner is served. What's for dinner at your place?